Finally the day had arrived, the day that he had been waiting for – Naoki’s fourth birthday! He slowly opened his eyes, yawned his biggest yawn, and looked around his bedroom. There were balloons everywhere! They bumped against each other, jostling for space against the painted clouds on Naoki’s bedroom ceiling. Naoki jumped out of bed – he couldn’t believe it! Where had all the beautiful balloons come from? He raced downstairs to ask his mum if she knew about the balloons. But she didn’t know. Naoki’s mum gave him his birthday present, and that distracted him from the balloons for a moment. 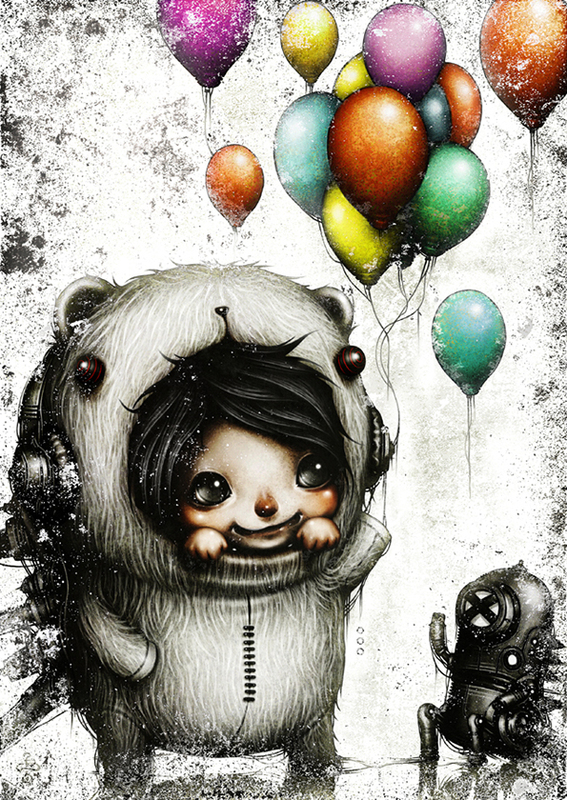 Tearing off the wrapping paper, Naoki squealed with delight – it was a super fluffy bear suit! The newest design, too. He climbed into it, jumping up and down impatiently while his mum helped him button it up. Just as the final button was closed, a handful of balloons floated down the stairs. He HAD to find out why all those balloons were suddenly in his room! Maybe they were left there by aliens? Or spirits? Or fairies? 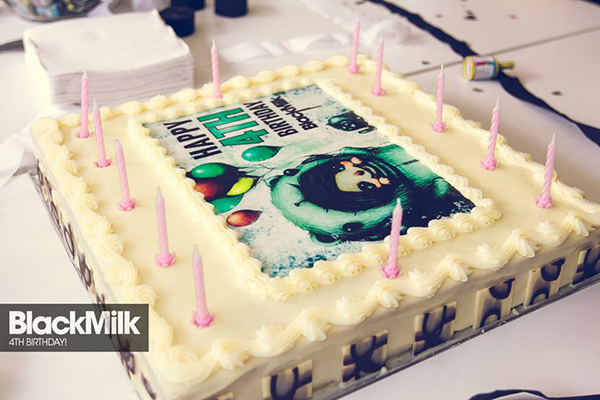 This piece commemorates our 4th birthday:) Hip hip hooray! 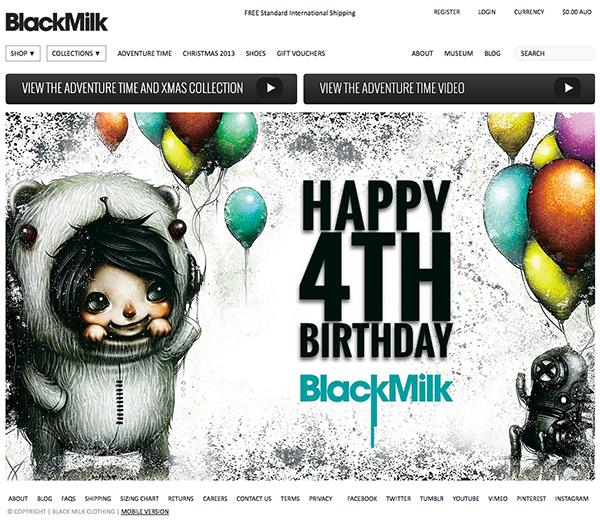 Super-spesh Black Milk Birthday Release!